This is among the best of the Gaither Series -- it is made great by the Hoppers' rousing rendition of "Shouting Time". The excitement and enthusiasm of this group brings the audience to a near fever pitch. A MUST HAVE in the Gaither Series! 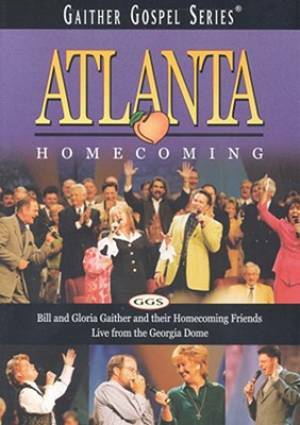 Atlanta Homecoming by Gaither Homecoming was published by Gaither in October 2005 and is our 13772nd best seller. The ISBN for Atlanta Homecoming is 0617884460891. Be the first to review Atlanta Homecoming! Got a question? No problem! Just click here to ask us about Atlanta Homecoming.